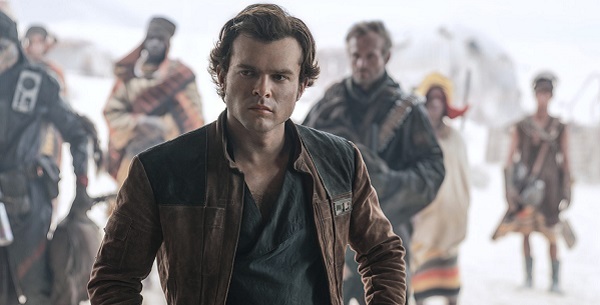 The film festival page for latest Star Wars movie "Solo: A Star Wars Story" has revealed the running time of two hours and 15 minutes. The reveal comes from the Cannes Film Festival which lists it under they're "Out of Competition" category. Recently Disney made the move to premiere the film at the festival. The Star Wars spinoff will premiere at the French festival shortly before opening in French theaters on May 23. Two of the prequels — 2002's Attack of the Clones and 2005’s Revenge of the Sith — played at the French Riviera festival. Cannes is better known as a platform for European art house type movies, but they've been embracing more movie genres lately. In motion picture terminology, the run-time or feature length is the length feature of a film. There are no rules stating how long a movie has to be. But the rules of the Academy of Motion Picture Arts and Sciences says a feature-length motion picture must have a running time of "more than 40 minutes" to be eligible for an Oscar. So this movie might get an Oscar nod. What do you think of the movie run-time?